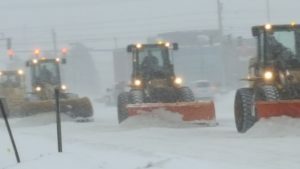 Keenan Excavating is a full-service and fully insured snow removal company, using professional snow removal equipment to provide the highest quality winter care for your commercial property. Our team is available to provide snow plowing, sand-salt treatment, and walkway clearing to your commercial property for round-the-clock service during storms. We come back to your property as many times as necessary to ensure your property is clear so your staff and customers can come and go safely. And when the snow banks get too high – we offer snow removal services to clear those piles out of your way. 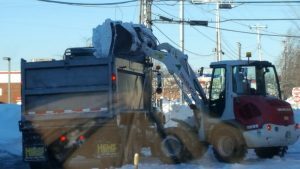 The Keenan team takes pride in providing snow removal services to help you continue operating safely due to slippery conditions. We work with you on a basis that works for your business – by the hour, by the inch or a flat contract rate agreement for the season. When you arrange your snow removal contract, we’ll meet with you in advance to familiarize ourselves with your property, and we always treat your property with the utmost care.